This is the third book in the series Shared Responsibility in International Law, which examines the problem of distribution of responsibilities among multiple states and other actors. In its work on the responsibility of states and international organisations, the International Law Commission recognised that attribution of acts to one actor does not exclude possible attribution of the same act to another state or organisation. 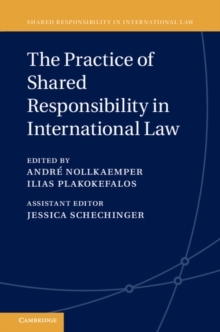 Recognising that the applicable rules and procedures for shared responsibility may differ between particular issue areas, this volume reviews the practice of states, international organisations, courts and other bodies that have dealt with the issue of international responsibility of multiple wrongdoing actors in a wide range of issue areas, including energy, extradition, investment law, NATO-led operations and fisheries. These analyses jointly assess the fit of the prevailing principles of international responsibility and provide a basis for reform and further development of international law.